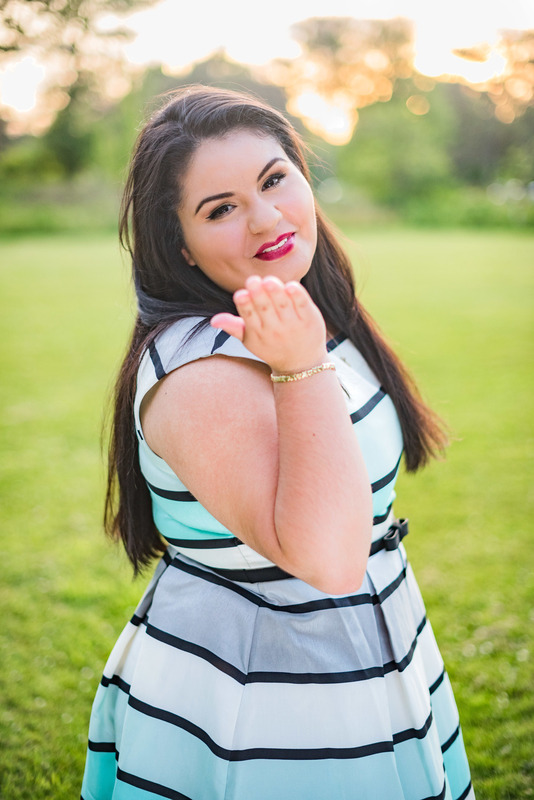 Corina Rodriguez is a super spunky high school senior at Bowsher High School in Toledo, Ohio. 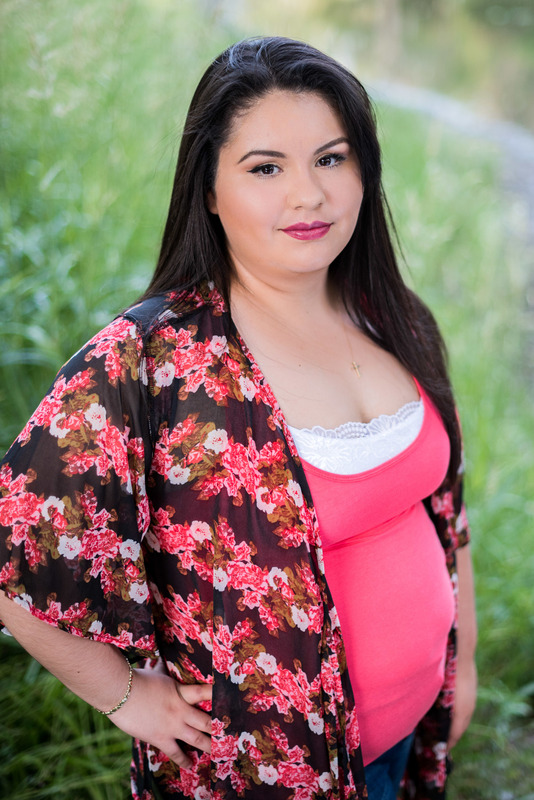 Corina began working with me at TransferMeToDVD last fall. Our team at the shop would not be the same without her! She is super fun and brings a spark (and maybe some sarcasm) to every shift. 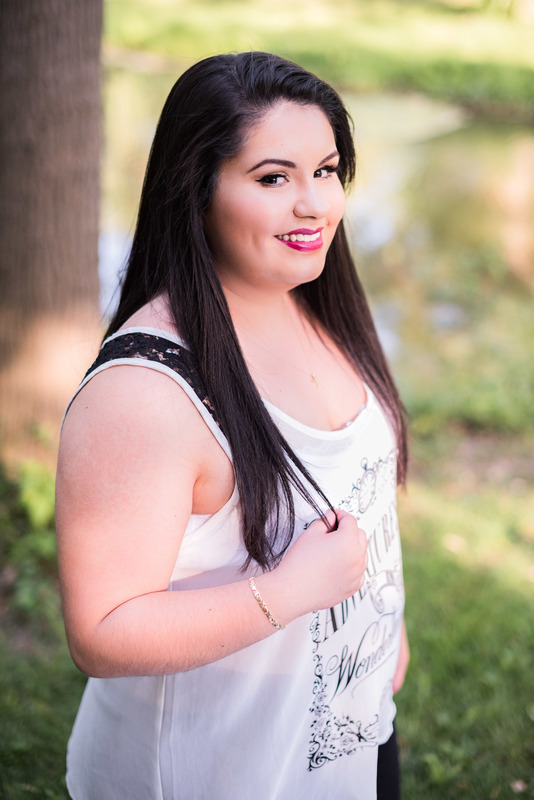 Corina works hard and I have really enjoyed getting to know her! 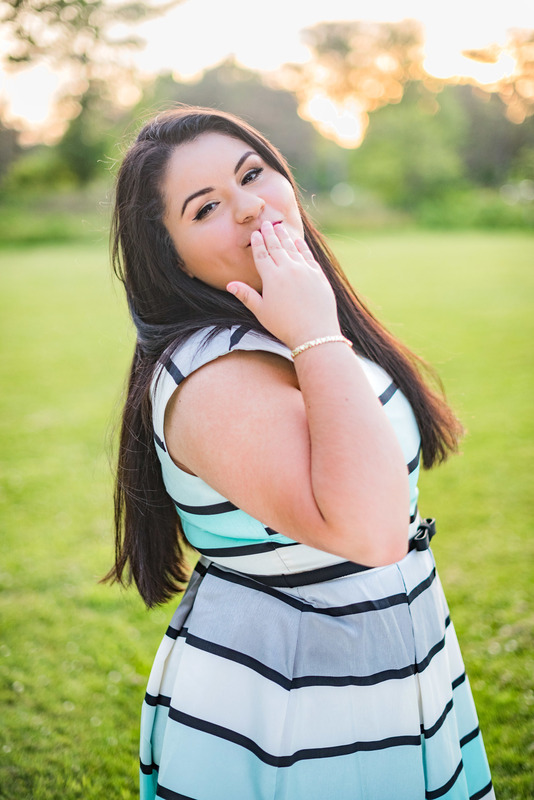 When Corina asked me to do her senior pictures, I was so excited! 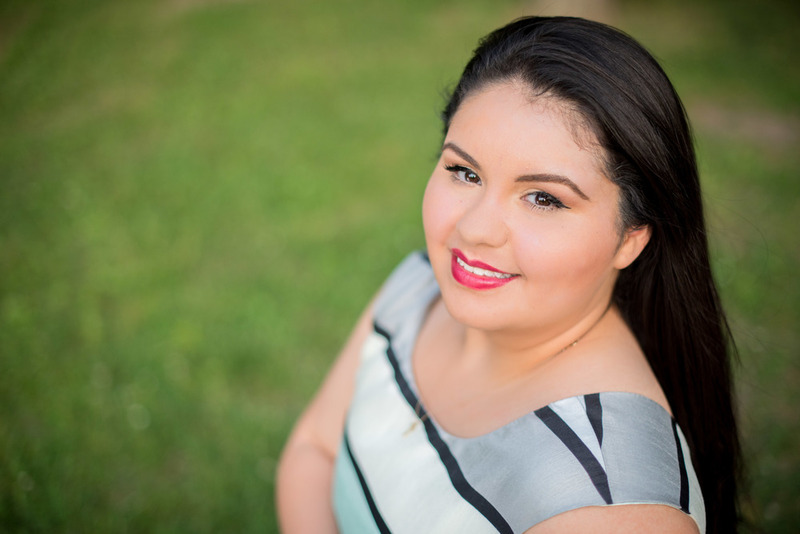 I coached Corina on how to choose her outfits and what to expect at the shoot. We set a date and picked a location. 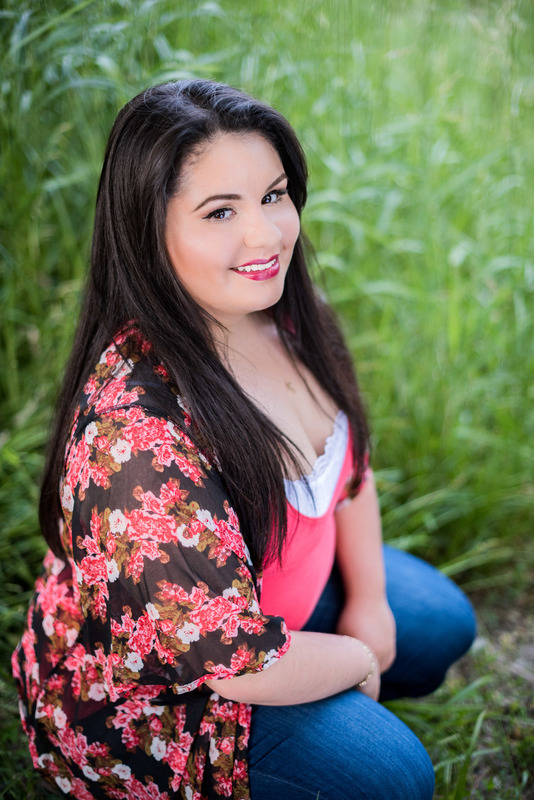 Corina's session included a full makeover from the talented MUA, Rachel Christensen. She looked just stunning as she modeled her first outfit. 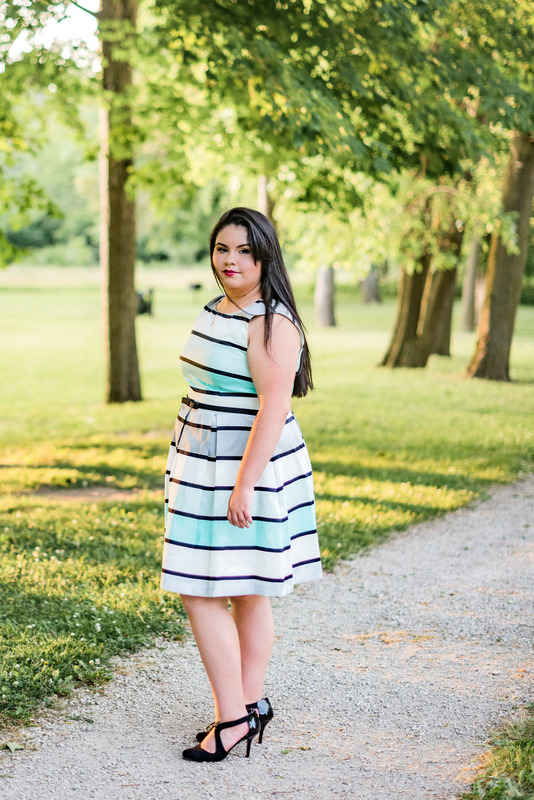 It turns out that the day we picked to go take Corina's senior photos, was one of the hottest days this summer in Toledo. I believe the forecast said it was 90 degrees but felt like 100. My poor assistants, Jessica and Annie, were troopers through the heat and they were so helpful! 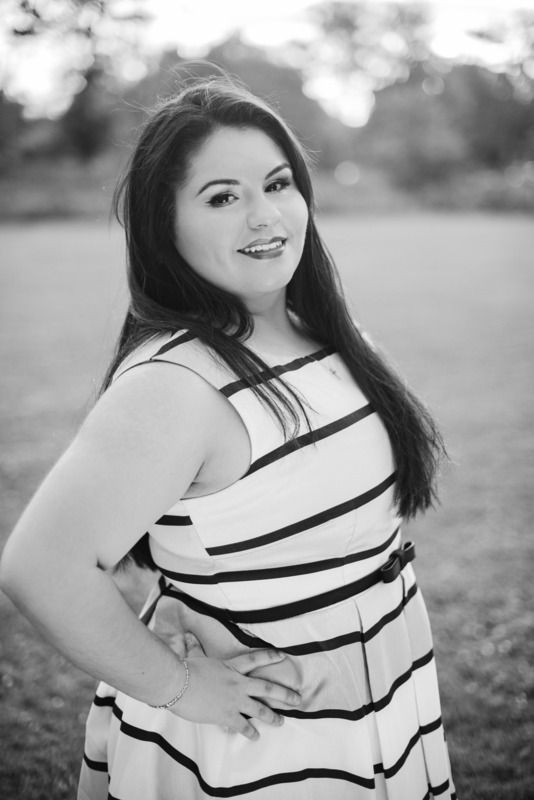 Corina had the hardest job, sitting in front of the camera trying to pretend she wasn't feeling incredibly warm. Luckily, Side Cut Metropark (one of my favorite of the Toledo Metroparks) has plenty of shady options and we took refuge in the trees until the sun began to fade. Things finally started to cool down toward the end of the session. 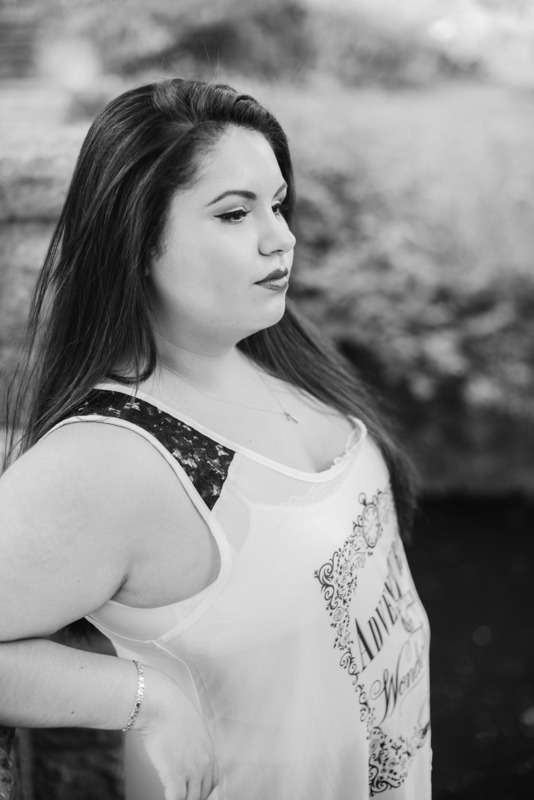 I really enjoyed trying some different things with Corina and getting to capture some of her candid faces. 1. What three words would you use to describe your personality? "Sarcastic, kind, loyal?" 2. What is one things you could never live without? "My brother." 3. What do you enjoy doing? "I enjoy watching tv shows on Netflix." 4. What are your favorite shows? "Supernatural, Jessica Jones, and Daredevil." 5. Do you have plans for after graduation? "Yes. 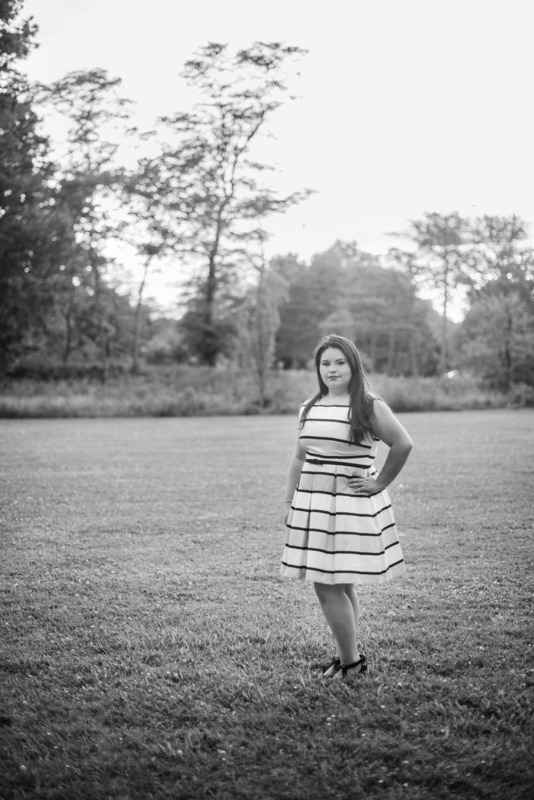 I plan to travel during that summer then off to college I go." 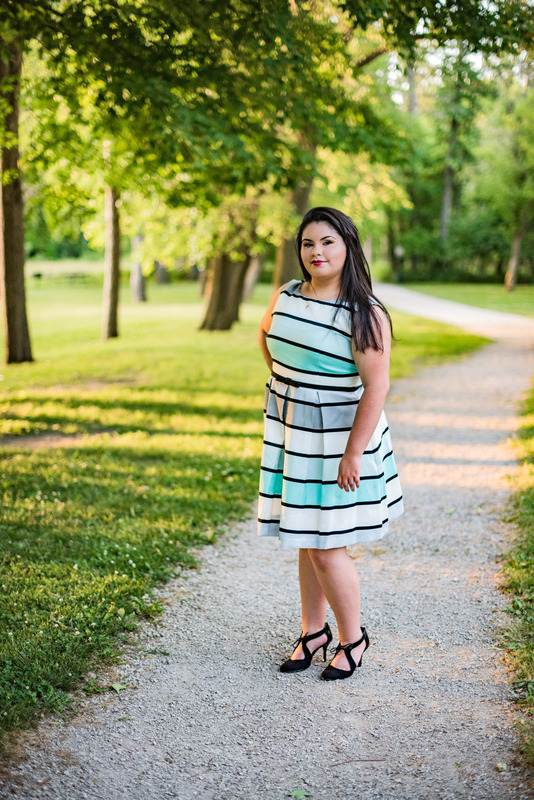 Please enjoy these senior portraits taken of Corina at Sidecut Metropark in Toledo, Ohio!